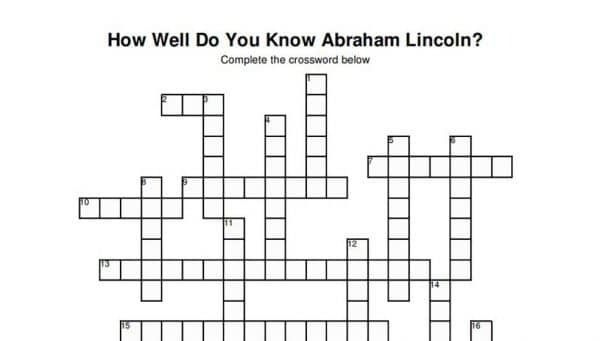 How well do you know Abraham Lincoln? How well do you know Abraham Lincoln? Because our 16th President grew up right here in Spencer County, we celebrate his life and accomplishments pretty often. There are several memorials, parks, and points of interest dedicated to the time he spent growing up in Indiana. The Lincoln Bicentennial Plaza displays key moments from Abraham Lincoln’s life on limestone pedestals sitting on a 58-foot circular plaza. The Living Historical Farm is a recreated 1820s homestead on the original land owned by the Lincoln family. Visitors of all ages can experience a self-sufficient lifestyle reminiscent of Abe’s boyhood years in Indiana. There’s so much to learn about Abraham Lincoln and his Boyhood Home. You can check out all local sights and landmarks here. 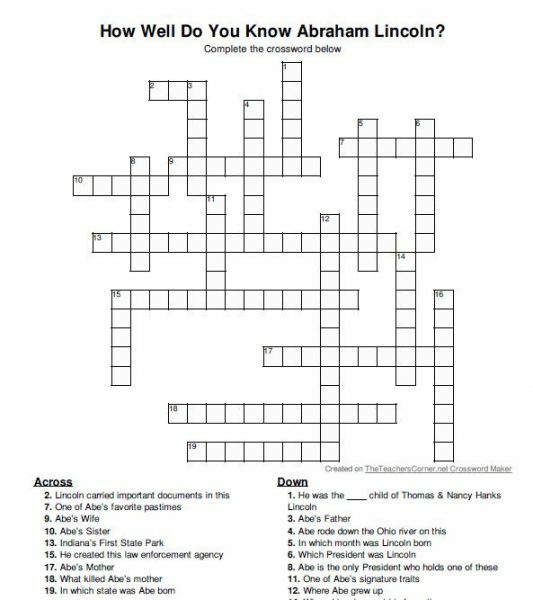 After you’ve visited some of the memorials, test your knowledge with this free downloadable crossword puzzle. This blog post was updated from May 2018.